This kit includes all you need to keep the outside AND the inside of your car or truck shining bright between deep cleanings. 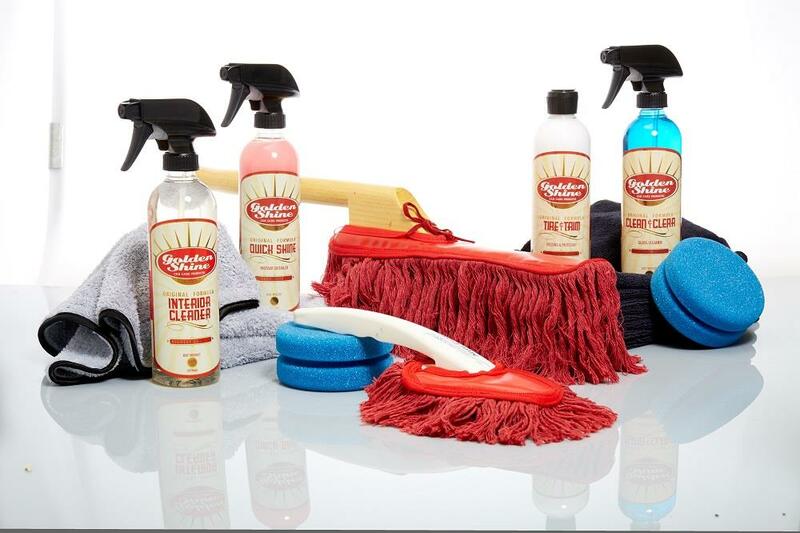 Not only will you receive our signature wood handle 100% cotton paraffin-treated Original California Car Duster, but you'll also get the small duster for cleaning hard-to-reach areas and the interior for a just-washed look that lasts and lasts. The kit also includes a 3-pack of Quick Shine Premium Microfiber Towels to use with the Quick Shine Instant Detailer; a 6-pack of All-Purpose Microfiber towels for use with the dirt, oil and stain-lifting Interior Cleaner; a 2-pack of Tire & Trim Applicators and the Tire & Trim Dressing to restore vitality while protecting your dash and tires from cracking and drying, and Clean & Clear Glass to bring out the streak free sparkle of windows and mirrors.